It only gets better if the champ. game result is the same. That veing said I see at least a 10 point win. As long as the same Eagles team that's been playing the past 4 weeks shows up in Arizona, we're golden. P.S. 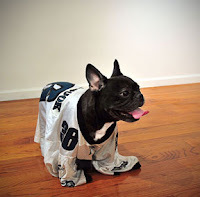 Great dog...she looks ready for a win!